India is the 2nd Largest Textile Manufacturing Nation in the world and also the second largest market for Textile Machinery and Technology. The fastest growing economy offers enormous opportunities for investment in the textile and clothing business backed by incentives offered by Central and State Governments. Simultaneously, India’s neighbouring countries in the South East Asia & Middle East are emerging leaders of apparel manufacturing & trade. The large and growing textile industry in India & neighbouring countries need adequate interaction with the machinery & technology suppliers. The industry looks for first-hand experience of latest technological innovations and developments, while machinery makers are desirous of meeting the growing markets, exchange ideas & knowledge with user industry. 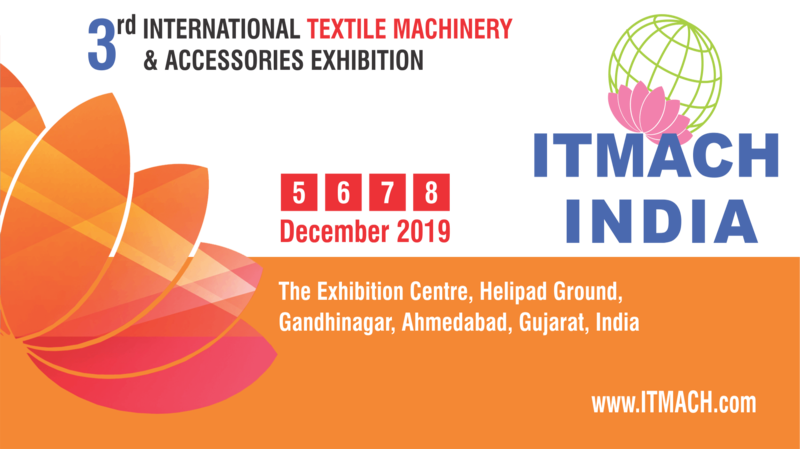 Backed by the success of previous exhibitions, 3rd ITMACH India is scheduled from 5-8th December 2019 in Gandhinagar at the outskirts of the Ahmedabad, which is going to be the marketplace to interact with potential new & existing investors from India and neighbouring regions. You can now Book Your Stall OR Register As Visitor to be a part of the largest extravenga of textile industry in South Asia.